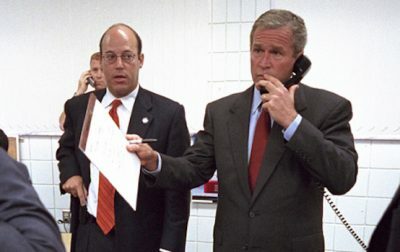 The work of the inspectors was undermined from the start by the Bush administration, led by Ari Fleischer. Left unsaid was the fact that the inspectors had repeatedly asked the U.S. for access to the very intelligence being used to underpin the American claims that Iraq was holding on to prohibited WMD and were denied. In 2010, Blix commented on the provisions of Security Council resolution 1441, which had declared Iraq to be in “material breach” of its obligation to disarm, and which was cited by Ari Fleischer to justify the invasion and occupation of Iraq in March 2003.